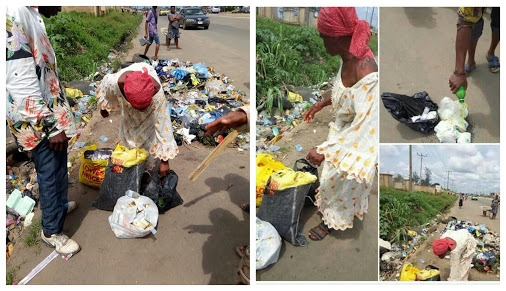 A warning has been issued to women who fail to properly dispose their sanitary pads and those of their babies/toddlers. 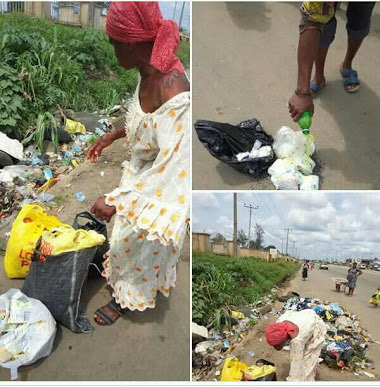 According to report, the woman pictured above was caught as she she was picking used sanitary pads and pampers from a refuse dump. 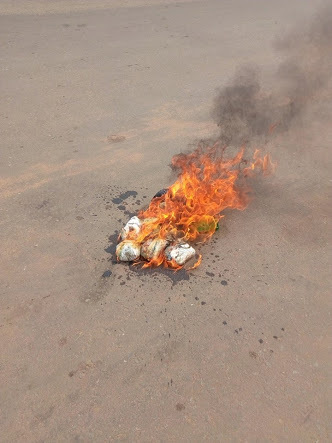 It was revealed that the bags she was with - were loaded with pads and pampers before they were collected by a passerby and burnt to ashes after not being able to give a tangible reason what she does with them. The woman was reportedly chased away from the area and warned never to return.